Steroid injections used to treat back pain have now been linked to the a fungal meningitis outbreak that has claimed at least five lives. Other patients have suffered strokes believed to be the result of infection. Massachusetts Personal Injury Attorney Jeffrey S. Glassman urges patients taking steroid injections for back pain seek independent medical evaluation if concerned. Certainly anyone experiencing flu-like symptoms should take the matter very seriously. Meningitis-related deaths have been linked to injectable steroids distributed by the New England Compounding Center — a compounding pharmacy based in Framingham. Confirmation came as an unopened vial from the facility tested positive for the bacteria. As ABC News reports, there is increasing health and safety concerns about such drug compounding facilities, which operate with little federal oversight. Roughly 7,500 such pharmacies specialize in concocting custom medicines. While FDA-approved ingredients are used in the compounded products, the final product does not receive such federal oversight. 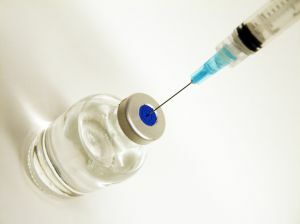 Because of the nature of meningitis, which infects the membranes around the brain and spinal cord, injections for back pain may be a particularly effective way to transmit life-threatening infections. The National Institutes of Health reports infections are extremely serious and may result in death or brain damage — even with the proper medical treatment. Acute bacterial meningitis is a medical emergency that requires immediate hospital treatment. The Law Offices of Jeffrey S. Glassman is aware that dozens of these cases have been reported in the last 30 days. Patients who have contracted fungel meingitis from the use of methylprednisolone acetate, a corticosteroid that is injected into the spine, have been reported in at least 6 states. Health officials continue to be concerned about more cases spreading throughout the country. The Framiningham lab is a compounding facility, which prepares and mixes drugs and solutions. Early reports suggest the company had been previously warned by the Food & Drug Administration about practices that increased the risk of drug contamination. The FDA reports fungal contamination was found in a sealed vial of methylprednisolone acetate collected from NECC and that the firm has voluntarily ceased all operations and surrendered its license to the Massachusetts Board of Registration in Pharmacy at the beginning of this month. The product is also being voluntarily recalled. Anyone who has purchased a product from NECC is advised not to use it. For more information, visit the Centers for Disease Control and Prevention’s website. The first case was reported Sept. 21 by the Tennessee Health Department, after a patient began experiencing symptoms of infection 19 days after injection. At least 42 cases have already been reported in six states, including Florida, Indiana, Tennessee, Maryland, North Carolina and Virginia. The facility has recalled nearly 18,000 vials. Thus far, 75 clinics in 23 states have received the recalled vials and have been told to begin notifying affected patients. If you are receiving steroid shots for back pain and have concerns, call the Law Offices of Jeffrey S. Glassman – 1-888-367-2900.